I recently listened to and enjoyed Muted’s 2018 album Empire, so I was excited to get my hands on a copy of his super-limited (edition of 100) 2013 release Lizard On Ice. I was intrigued to discover that the two albums are actually quite different. Whereas the overall chill vibe is somewhat similar, the compositions on Lizard On Ice seem to be briefer, generally leaving me wanting more, even if the more is just more time to enjoy the world Muted created. 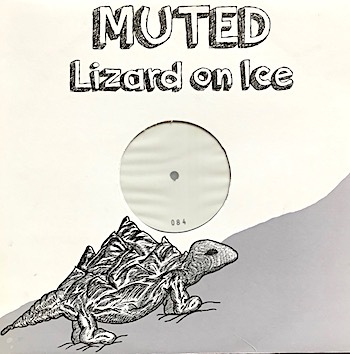 Muted describes Lizard On Ice as a hip hop album, and there’s definitely an undercurrent of that genre cut into these grooves, particularly in the beats. There are also some elements of soul and atmospheric dub. Things are definitely chill as hell, the perfect record to have on while relaxing and unwinding. This entry was posted in Electronic, Hip Hop, Iceland and tagged Electronic Music, Hip Hop, Iceland, Lizard On Ice, Muted by Administrator. Bookmark the permalink.